Soil is becoming endangered.This reality needs to be part of our collective awareness in order to feed nine billion people by 2050, say experts meeting here in Reykjavík. 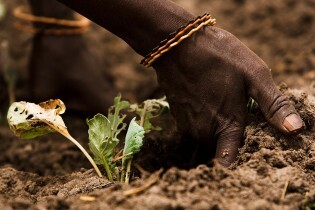 Land degradation poses a threat to all life on Earth including humanity. To stop the enormous loss of life-giving land, the United Nations Convention to Combat Desertification (UNCCD) is pushing for a sustainable development goal of Zero Net Land Degradation (ZNLD) to be adopted at the upcoming Conference on Sustainable Development, known as Rio+20, in Brazil. Delegates to the United Nations Convention to Combat Desertification’s (UNCCD) meeting underway in this South Korean city are convinced that women, though affected most by desertification, hold the key to addressing hunger through land regeneration.